When I was young, my siblings and I used to go to the movies regularly with my father. One of the movies I remember well, even after more than 40 years, was Jacques Tati's final cinema release, Trafic. All of them were originally in French, and were released internationally with subtitles. However, Tati came from the world of mime, and so his movies had very little dialog anyway, relying instead on the "moving picture" aspect of film making. In spite of his small output, Tati managed to have a large impact on world cinema. 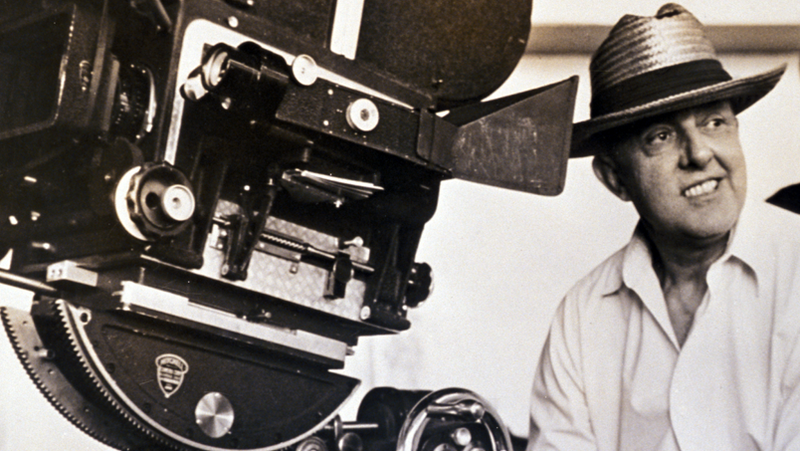 His movies won several awards, notably at the Cannes Film Festival and the Venice Film Festival, and Mon Oncle won the Academy Award for Best Foreign-Language Film (and Les Vacances de Monsieur Hulot received a nomination for Best Screenplay). His movies regularly appear in "Top 50" and "Top 100" lists. Many people have acknowledged his influence, and Rowan Atkinson's character Mr Bean is basically an updated English-language version of Tati's character M. Hulot (even to the extent of making Mr Bean's Holiday). There is even a small homage to Mon Oncle near the beginning of The Blues Brothers. Not unexpectedly, then, Tati's movies continue to attract the attention of the critics. At the aggregator site Rotten Tomatoes, his movies have 100% positive reviews, except for Mon Oncle which unexpectedly has only 92%. There are a total of 89 critics listed as having written reviews about at least one of Tati's movies, although only 28 of them have reviewed more than one of the films. Indeed, only four critics have provided individual reviews of all five movies (and a few others have reviewed them collectively). Clearly, Playtime is the favorite, with Trafic trailing the field (although still with a good score). On the other hand, this pattern is not quite repeated when we consider only those reviewers who provided scores for more than one movie. That is, we do not see quite the same pattern when we assess the pairwise preferences of those critics who scored at least two of the films. Sometimes, the overall pattern is repeated. For example, you will note that Les Vacances de Monsieur Hulot scored higher than the other movies except for Playtime. Of the reviewers who also scored Les Vacances, 5 preferred Playtime, 4 scored them as equal, and 1 preferred Les Vacances, so that Playtime is clearly preferred. Similarly, 4 critics preferred Les Vacances to Trafic, 3 scored them as equal, and no-one preferred Trafic. However, overall Les Vacances de Monsieur Hulot scored higher than Mon Oncle, which also reflects the latter's 92% "fresh" rating noted above, but this pattern is not repeated for the pairwise comparisons. If we look at the 10 reviewers who scored both of these movies, then 4 preferred Les Vacances to Mon Oncle, 3 scored them as equal, and 3 preferred Mon Oncle, thus showing little preference for one film over the other. So, direct comparisons can be more important than independent assessments. Some of you will recognize this as an example of Simpson's Paradox. As usual, we can use a phylogenetic network as a form of exploratory data analysis, to compare all five movies in a single diagram. I first used the gower similarity to calculate the similarity of the five movies based on those 20 reviewers who scored more than one movie. This was followed by a Neighbor-net analysis to display the between-film similarities as a phylogenetic network. So, films that are closely connected in the network are similar to each other based on their scores, and those that are further apart are progressively more different from each other. Clearly, the movies are not really very different from each other in score, and there is little preference for one over another for these 20 critics. This contrasts with the scores from all 89 critics. The "audience score" at Rotten Tomatoes differs somewhat from the critics' scores. They score Playtime (90%) and Mon Oncle (89%) at the top, followed by Les Vacances de M. Hulot (86%) and Jour de Fête (85%), and finally Trafic (77%). In spite of this, I still have a soft spot for Trafic, although Mon Oncle is my personal favourite.